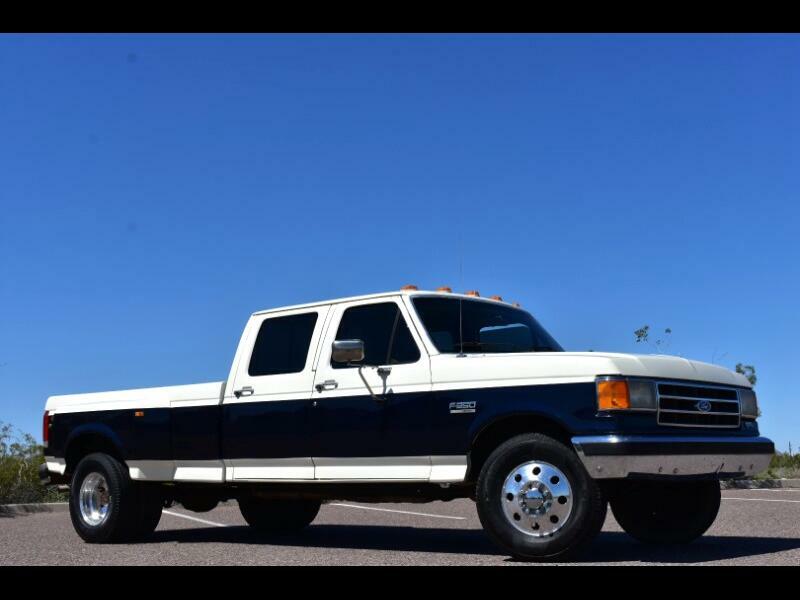 1990 FORD F350 XLT lariat CREW CAB DUALLY 2WD WITH 7.5L V8 GAS MOTOR!! ARIZONA AND CALIFORNIA RUST FREE TRUCK! GRANDPA TRUCK THAT WAS WELL TAKEN CARE OF! UPGRADED PIONEER AM/FM RADIO WITH CD PLAYER, USB AND AUX CONNECTION! 6 GOOD TIRES (LT25/75R16) IN GREAT CONDITION WITH ABOUT 75% TREAD!